The admissions process at European Massage Therapy School is easy! Follow the steps below and you’ll be on your way to a rewarding career in Massage Therapy! 1. Call us at (888) 230-3897 or complete the form on this page to schedule your Campus Tour with one of our Admissions Representatives. 2. Visit a campus for your informational tour where we’ll discuss our program, schedule options, and answer any questions you may have. 3. Meet with a Financial Aid Advisor to discuss payment options, including Federal Financial Aid (for those that qualify), and in-house tuition payment plans. Applicants must hold a valid high school diploma, high school transcripts of completion, or a GED certificate. Please note: European Massage Therapy School/Estelle Medical Academy does not accept transfer hours from other institutions (Please check with the School Director for current information) and has a strict policy forbidding the solicitation of students attending or registered to attend other post-secondary institutions. 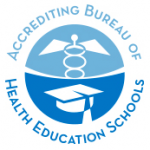 European Massage Therapy School/Estelle Medical Academy is accredited by Accrediting Bureau of Health Education Schools (ABHES). Attending an accredited school is important because accredited schools are held to a higher standard of learning and can offer Federal Financial Aid to those who qualify. Students attending non-accredited massage schools in Chicago will generally be required to pay out-of-pocket. We are a Title IV institution approved by the United States Department of Education which allows us to offer Federal Financial Aid to students (Pell Grants & Stafford Loans) and parents (Parent PLUS loans) who qualify. In addition to federal aid, we offer no-interest in-house payment plan options.